The 6 Piece Travel Size Set is a vegan friendly 6 piece brush set made up of travel sized super soft, high quality synthetic brushes. 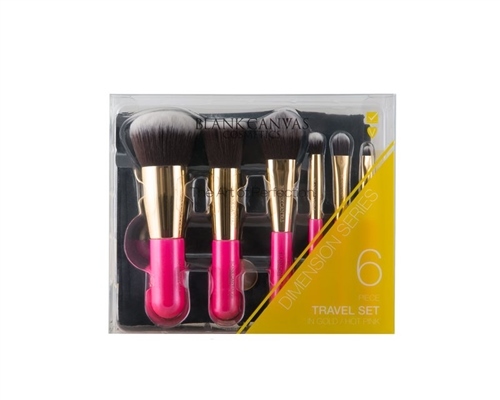 This set contains 6 travel size bestselling brushes with a handy, easy to clean travel case. The 6 Piece Travel Size Set is ideal as a starter kit or as your travel/festival makeup essential! This set has all your bases covered with a mix of face, eye and lip brushes. Make up on the go has never been so easy!